Winter is the perfect time to enjoy the indoors and snuggle up beside a fire or enjoy your favorite hot beverage. Unfortunately, we can’t spend the whole winter inside and, at some point, we need to venture out on the roads. These weather conditions can make driving more challenging than any other time of year but with these tips you will be able to safely navigate the ice and snow-covered roads. Probably one of the worst dangers to encounter while driving is black ice. You can’t really see it but you sure can feel when you’ll hit it! It’s important to pay close attention to the road and look for patches of road that appear darker in color than usual. Low-lying areas are usually most affected as well as bridges and underpasses that don’t receive any sunshine. When temperatures drop below freezing, it’s time to look out for black ice. Even if things warm up in the day, black ice often forms overnight when the temperatures drop. Improve your chances of avoiding an accident by making sure that your tires are in perfect shape. Winter tires are necessary and will give you that extra necessary traction. If your vehicle has four-wheel drive, you can use it as an added safety measure. However, this does not mean that you should increase your speed! 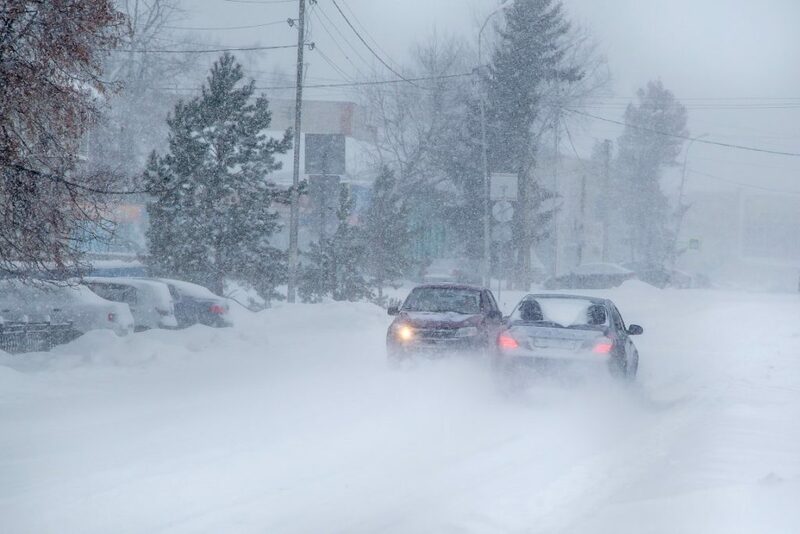 Winter tires or not, you should still drive slower than the usual speed limit. Do not tailgate and allow other drivers to pass you if necessary. You might not be able to stop others from speeding, but by allowing them to pass if it is safe to do so reducing your chances of an accident. If you hit black ice, take your foot off the accelerator. Do not brake immediately. To avoid loosing control apply your foot to the brake pedal gently. If your vehicle has a manual transmission, you can gear down to slow down rather than using your brakes. Remember not to shift too quickly and mind your revs. You don’t want to shift down from fourth straight to second or you could run those revs far into the red. If your car does skid, turn your steering wheel in the direction you want to go. For vehicles with anti-lock brakes, do not pump the brakes and don’t remove your foot from the brake. The anti-lock system will work to prevent the breaks from locking up. Some conditions are just not safe for driving and, in these cases, it’s best not to risk it. If you are planning on driving, make sure that you take the time to clear all of the snow and ice from your vehicle before you hit the road. Check your windshield wipers and make sure that your washer fluid has antifreeze in it. Test your defrosters to make sure that they are working and always travel at a safe distance from other cars. While you might not intentionally go out in a blizzard, you could get caught in one while driving. If this occurs, it’s important to get off the highway as soon as possible. If you cannot get off the highway, you should at least pull over as much as possible and keep your directional lights on to warn other motorists. High winds during blizzards mean that your little warning triangle might not do the trick. Instead, attach a colorful piece of cloth to your vehicle’s antenna, mirror, or somewhere that will help ensure you are noticed. If you are stuck, call for help and make sure that at least one person in the car is awake while anyone else sleeps. Start your car from time to time and let the engine run to ensure that the car battery is not exhausted. Clear the snow from the exhaust pipe regularly. Don’t forget to always pack a first aid kit in your vehicle. In winter, it’s also important to carry tools like a shovel just in case you need to dig your way out of some snow. Having the right coverage will also set your mind at ease. At A-Protect Warranty, our plans are designed to suit your needs and offer maximum protection in the event of a roadside emergency or vehicle maintenance. Contact us today at 1-866-660-6444.